Aviation regulators in the U.S. will begin recalling some airline and aircraft inspectors from furloughs spurred by a partial government shutdown that has entered its second week. More than 800 Federal Aviation Administration workers will return to their jobs this week, the agency said yesterday in a statement. They had been deemed nonessential for safety and sent home without pay when the shutdown began Oct. 1. The agency’s aircraft registry will remain closed. JetBlue Airways Corp. (JBLU), US Airways Group. and AMR Corp.’s American Airlines (AAMRQ) said they haven’t been able to accept new planes as a result, and aircraft manufacturers say the shutdown may block the sale of at least 130 newly built planes for private owners worth $1.5 billion by next week. “The registry closing threatens our economic recovery and our ability to provide good, high-paying jobs at a time when the industry is making a comeback,” Pete Bunce, president of the General Aviation Manufacturers Association, a Washington trade group, said today. Without the ability to obtain a title for a plane, manufacturers and dealers can’t sell them and buyers can’t obtain loans, the group said in its statement. 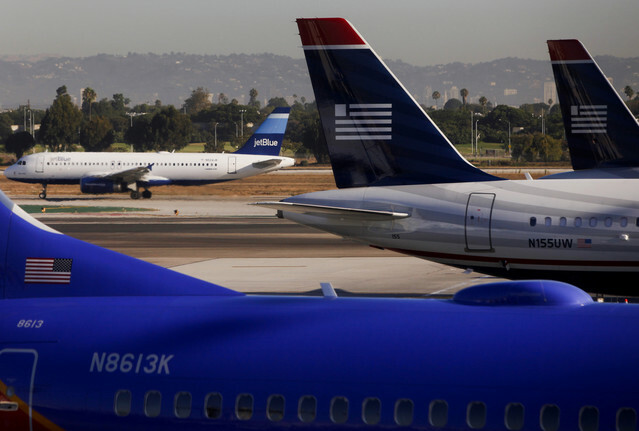 About three-quarters of the FAA employees returning to work oversee major airline operations. Most of the others will keep an eye on the “most critical” production of aircraft and parts, according to the agency statement. All 3,000 of the FAA’s aviation-safety inspectors, who oversee airlines, maintenance shops and aircraft manufacturers, were placed on unpaid leave. All of them should be returned to work, Mike Perrone, president of the Professional Aviation Safety Specialists union, said in an e-mail statement. “Sidelining aviation safety inspectors, who are crucial employees, for even a day is unacceptable and exposes the aviation system to unnecessary risk,” Perrone said. Many U.S. government services have been shuttered for a week and the country is 10 days away from running out of cash to pay all of its debts. Congressional Republicans are insisting on changing the 2010 Affordable Care Act, which requires most Americans to have insurance or pay a penalty, before funding the government while President Barack Obama refuses to discuss policy conditions tied to ending the shutdown or raising the ceiling on borrowing. The FAA registry closing has blocked the delivery of planes destined for airlines. American Airlines won’t receive an Airbus SAS (EAD) A319 it expected tomorrow, spokeswoman Andrea Huguely said in an e-mail. It has stopped sales of used planes, Ed Bolen, president of the National Business Aviation Association, a Washington-based trade group, said in an interview. As many as 10,000 aircraft a month may be grounded if registrations can’t be renewed, he said. His group represents corporate flight departments and airplane dealers. “As long as the registry is closed, there is going to be a significant impact,” Bolen said. Bunce, Bolen and other trade-group leaders sent Transportation Secretary Anthony Foxx a letter today urging him to reopen the registry. The FAA put 15,514 employees on leave Oct. 1, or about a third of its workforce of about 46,000, according to a Transportation Department plan for the shutdown. The agency’s air-traffic controllers remained on the job. Operations funded by the FAA’s Airport and Airway Trust Fund, such as construction grants to airports, also were uninterrupted. The trust fund earns revenue from taxes on airline tickets and fuel instead of general funds. In addition to inspectors, about 25 doctors and workers who oversee drug and alcohol testing of commercial pilots, mechanics and others, are being recalled, the agency said. While safety inspectors were sent home, other members of PASS who maintain the FAA’s navigation and air-traffic equipment remained on the job, Kori Blalock Keller, a spokeswoman, said in an interview. All airlines do in-house inspections to ensure that maintenance is performed and safety procedures are followed. The potential for safety lapses is minimal in the early days of a shutdown, Keller said. The risks that errors may occur and be missed by a carrier increase as time passes without government oversight, she said. No maintenance work has been interrupted or postponed at Southwest Airlines Co. (LUV) due to the absence of FAA inspectors, said Brandy King, a spokeswoman for the Dallas-based carrier. The return of the FAA workers “will benefit air carriers in allowing for review and approval of operations specifications and certain FAA-approved program revisions,” she said. Some Boeing Co. (BA) aircraft deliveries have been delayed by shortages of FAA inspectors and employees who register the aircraft, John Dern, spokesman for the Chicago-based company, said in a phone interview. About 200 engineers and inspectors who sign off on newly built planes were among the FAA employees returning to work. The National Air Traffic Controllers Association, a union representing more than 15,000 controllers as well as FAA engineers and support staff, called for an end to the shutdown in a statement. About 2,800 union members remain furloughed and those who are working aren’t being paid, Doug Church, a spokesman, said in an e-mail. The FAA is monitoring private-aircraft accidents during the shutdown while not sending employees to crash scenes. If it appears there is an “urgent high risk” identified because of a crash, the agency said it will recall employees to investigate. The inability to register planes also prevented JetBlue Airways Corp. and US Airways Group Inc. from taking delivery of new Airbus jets last week. Bloomberg reserves the right to edit or remove comments but is under no obligation to do so, or to explain individual moderation decisions. Is Obamacare in a Death Spiral? Can Using Instagram Really Make Your Hotel Stay Better? Surfing, Horse Racing, and Other Things Top Chef Brian Malarkey Loves About L.A.
©2013 BLOOMBERG L.P. ALL RIGHTS RESERVED.